L-Ornithine is a non-essential amino acid that is an important intermediate in the urea cycle, functioning along with Arginine to rid the body of ammonia, a byproduct of protein metabolism. 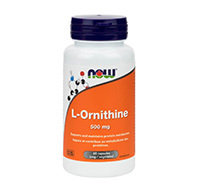 Both Ornithine and Arginine are known to support the production of Nitric Oxide (NO). NO plays a fundamental role in vascular function and blood flow. Suggested Usage: As a dietary supplement, take 2 capsules 2 times daily between meals. 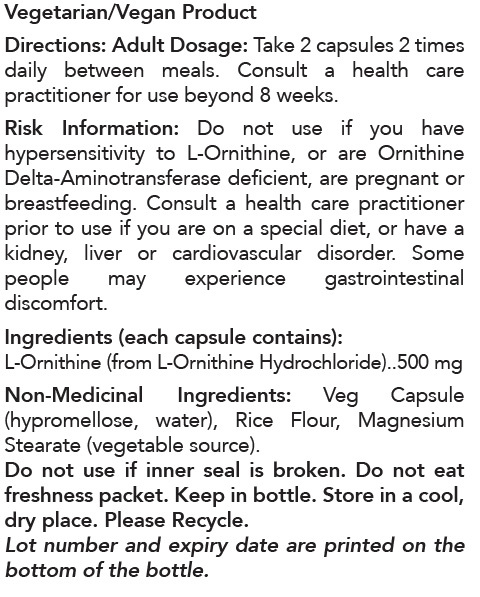 Consult a health care practitioner for use beyond 8 weeks.